Find out about the exciting new Celestron Inspire series of telescopes as Luigi Papagno of F1 Telescopes takes a test drive of this excellent new product prior to general release. SITTINGBOURNE, England - Sept. 26, 2016 - PRLog -- Leading Kent-based telescope and stargazing specialists F1 Telescopes were thrilled to be one of just a select few retailers by Celestron to take a first look at their brand new "Inspire" range before they hit store shelves. This new entry level low-cost range of AZ refractor telescopes offers the kind of features that are usually only associated with scopes of a much higher price tag. "When we unpacked the new Celestron Inspire AZ telescope, we were immediately surprised at the build quality and feature rich specification this particular model came with." "It was quick to set up using the standard Alt AZ mount which gave us a nice, rigid platform to view from. Within minutes, we were observing some excellent views of the Moon thanks to the 70mm refractor lens that provides a fully corrected and steady image." "To our amazement, we were also able to take some great photos, thanks to the integrated smartphone adapter which allowed us to fit an Apple iPhone to the eyepiece and take shots of the skies above. The image quality was surprisingly high." "The pièce de résistance however has to be inclusion of Celestron's Starfinder Pro as standard. This feature makes stargazing easy by automatically finding celestial objects for you, with no detailed knowledge of the constellations required." "To have a new soon-to-be-released telescope range include great features such as the AZ mount, integrated red light, camera adapter and the brilliant Starfinder Pro as standard, at an entry-level price range is an astronomers dream – it's seems too good to be true but it isn't!" "When they go on general sale, to have a top brand like Celestron offer telescopes at this kind of spec between £160-£260 RRP is unheard of. For sure, this new range is going to make many people's Christmas very special indeed!" To find out more about their review and the full list of features this new range has to offer, head over to F1 Telescopes blog at http://www.f1telescopes.co.uk/news/new-celestron-inspire-series-telescope-preview/ and see what this impressive new telescope has to offer. 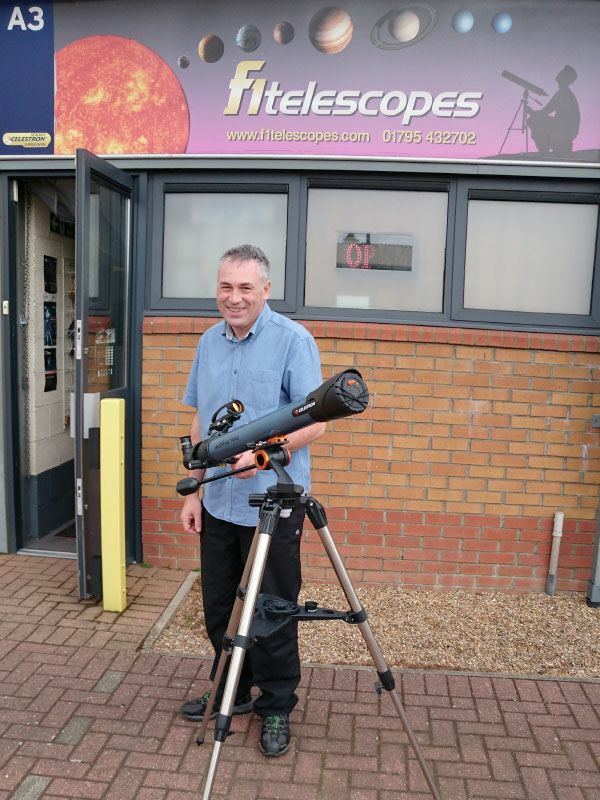 f1telescopes are dedicated to providing the amateur astronomer trusted advice and leading customer service at the most competitive prices available in the UK. They have built up a reputation for friendly, reliable service, and are happy to provide advice and guidance on any item you are considering purchasing.